If you don’t enjoy s’mores, you may not be a true American. No dessert comes close to the marshmallowey, chocolatey, crunchy goodness of our country's most celebrated summertime treat. 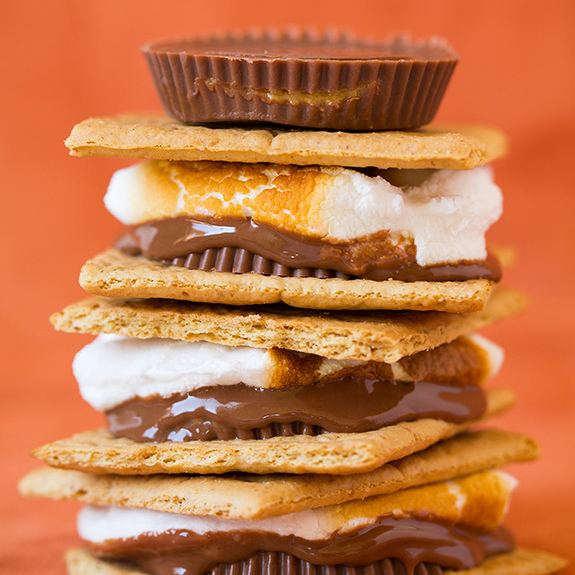 But do you want to take the near-perfect trifecta that is the s'more to the next level? Consider our list of additional ingredient ideas and they may have you seeing fireworks. Since peanut butter tastes good on everything (and we truly mean everything), it’s no surprise that it ranks supreme on our list of special ingredients. So bust out the Jif (or hell, even a Reese’s if you’re *really* feeling crazy) and you’ll thank us later. Try this peanut butter cup s'mores recipe. Adding another oozing component is never a bad idea, and nothing oozes better than caramel. Homemade, straight from the jar or even as part of a Twix or Rolo, you shouldn’t discriminate: they’re all wise decisions. 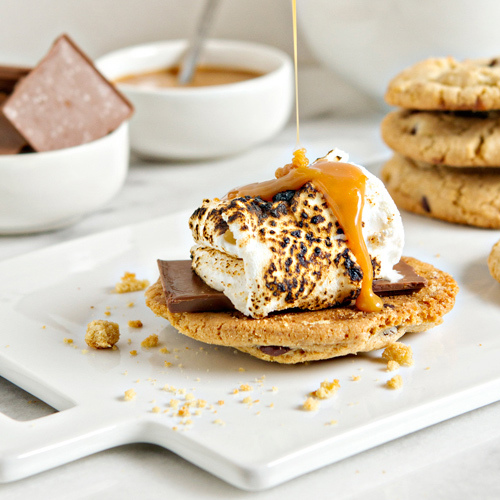 Try this salted caramel cookie s'mores recipe. We’re not saying bacon to be trendy. In fact, it takes a great deal of confidence for us to mix our meats with our sweets. But after experiencing the brininess of pork paired with the creaminess of marshmallows, it’s truly fantastic (not for your cholesterol). 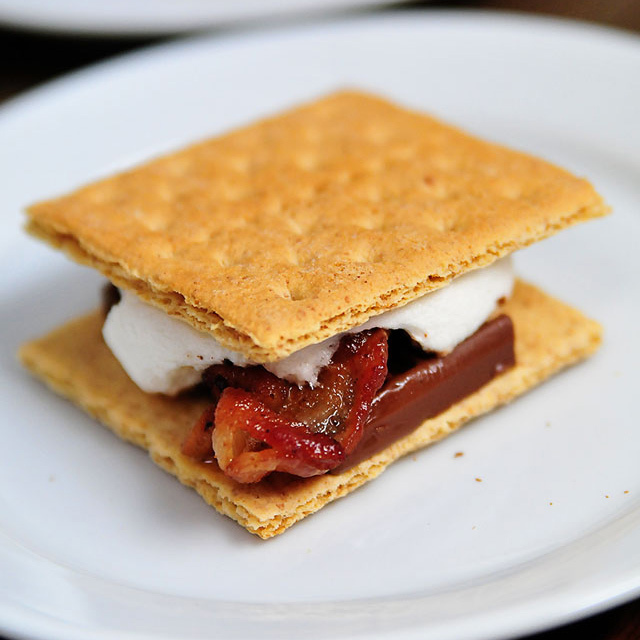 Try this bacon s'mores recipe. It’s a well-known fact that white chocolate is the yin to milk chocolate’s yang. If you’re in the market to amp up the decadence and ditch the cacao, then the former is an ideal option. Try this Italian white chocolate s'mores recipe. Whether it’s freshly-sliced, jelly or preserves, you can’t go wrong with a healthy dose of vitamin C or K. Try this chocolate-covered strawberry s'mores recipe. If chocolate is your favorite part of dessert, you may want to add a little spice to heighten its familiar flavor. The kick of cayenne not only adds a unique element, but actually draws out the nutrients of chocolate to make it healthier. The more you know. 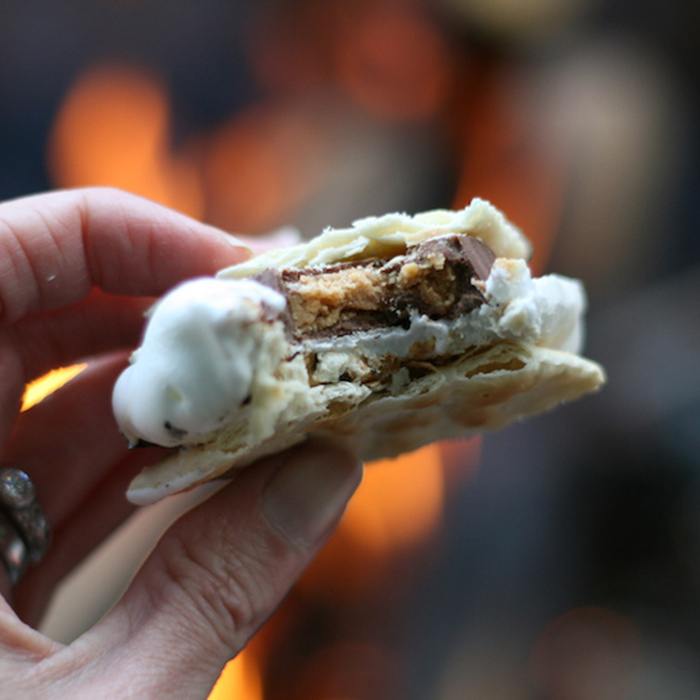 Try this spicy, smoky s'mores recipe. Bless the Girl Scouts and their most famous cookie. The refreshing bite of a Thin Mint makes it an unexpected, albeit perfect addition. Plus, supporting a great cause is a valid enough excuse to break any summer diet. 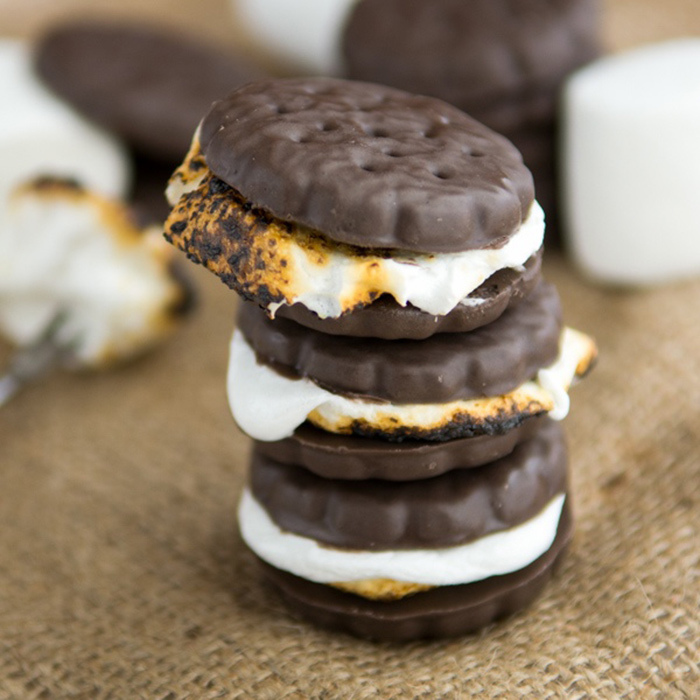 Try this Thin Mint s'mores recipe. Some daring campers have opted for a buttery Ritz cracker in place of graham, but it’s the Saltine cracker’s unexpected bite that throws another contender into the taste bud ring. Who knew that your cure for stomach bugs could be so delicious? 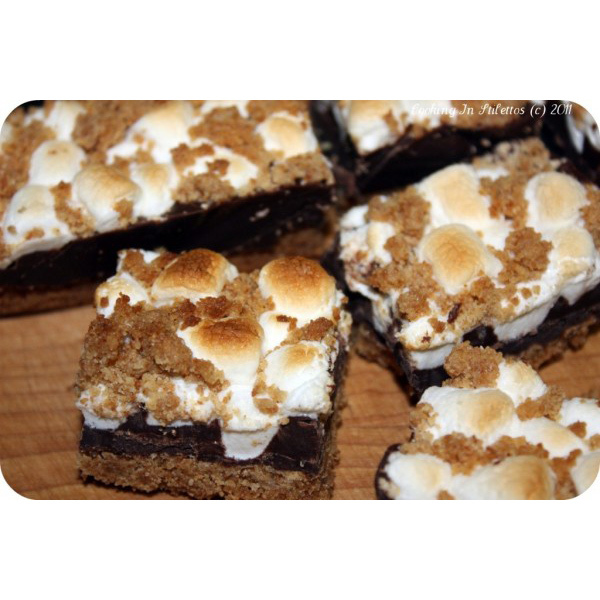 Try this Saltine and Reese's s'mores recipe.